This section deals with land trading, ie selling your unwanted land or buying a plot you require. All you need to do is select your land tile and click SELL. You will be given the below 2 OFFER TYPES… a FIXED FEE or CHANGING PRICE AUCTION. 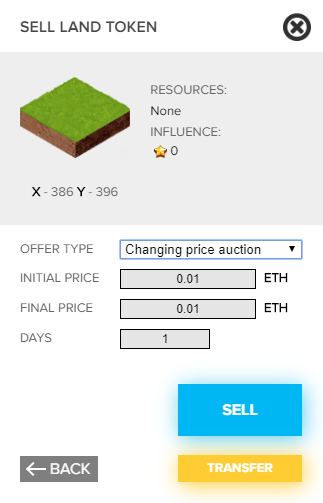 CHANGING PRICE AUCTION = Can be ascending or descending, so can start at 0.1 eth and increase to 0.4 eth over 3 days, or start at 0.5 and reduce to 0.2 over 5 days, for examples. Once you have added your desired amounts, Click SELL and complete the transaction in your wallet. You will then see your FOR SALE board appear confirming it completed. 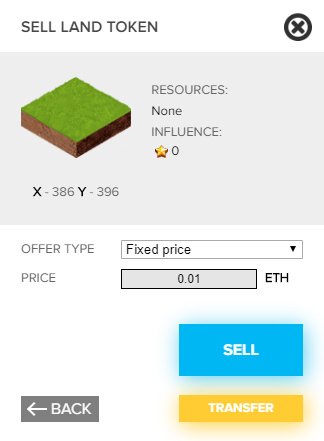 You also have the option to TRANSFER if you wanted to send your land and/or Building to another wallet. You have just built 3 Trade centers and require a SOLD piece of land to compete your 2×2 but how do we know who owns it? This is where earlier we learned about communicating with fellow players via Social Media. If this plot of land doesn’t become available for sale, you might never be able to get it? Hopefully the person who owns the plot of land will put it up for sale, but at what cost?? You can also check out either Facebook, Discord or Telegram to communicate with other land owners. 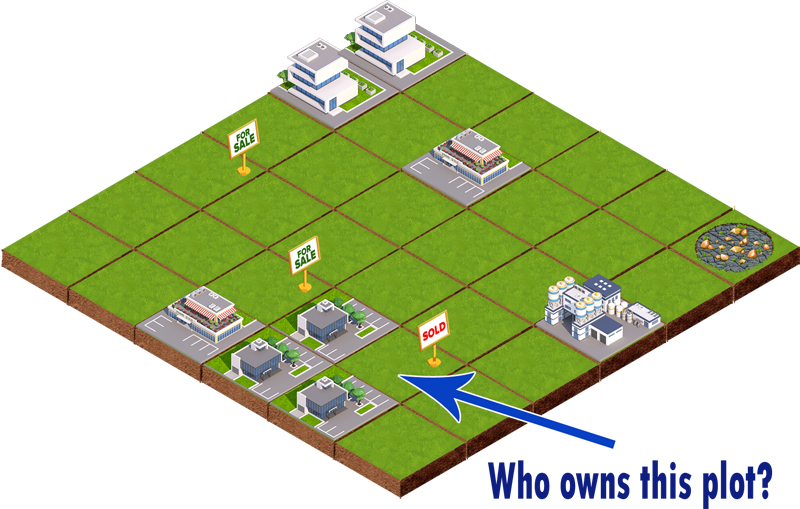 This is where you need to way up the advantages to owning this land and creating a Mega Building and how much % influence that would give you in your district… is it worth it? !